This plug-in just picks out various edges making them more expressive. The user can easily manage range of edge appearance in the processed image getting fantastic artistic effects. Outliner can be very useful plug-in for web designers creating graphic icons and for artists dealing with engraving. 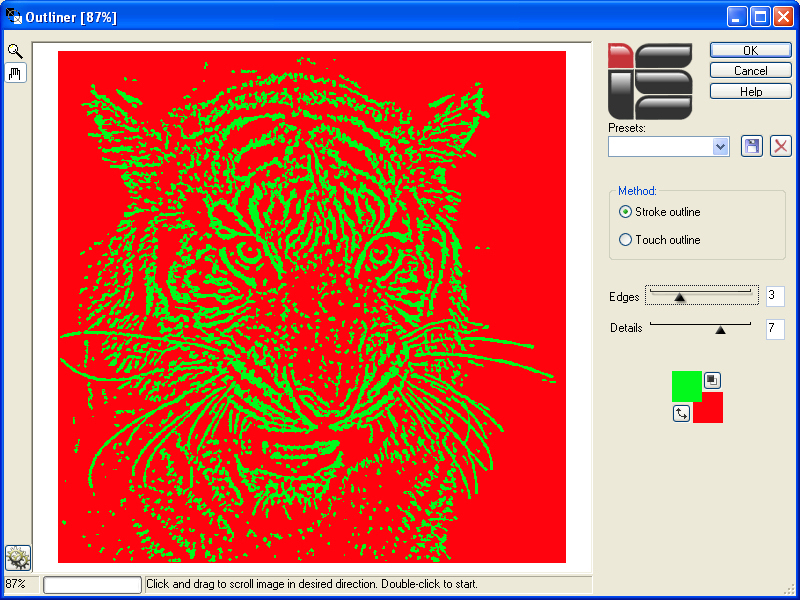 Outliner processes RGB and Grayscale images with 8 or 16/bits channel. Plug-in has simple install and de-install procedures and automatically detects suitable graphics hosts.